When I hear the word red, I automatically think about barns. Barns: they’re romantic, mysterious and fun. I love the second one! Makes me want to get married all over again and have the reception in a barn! My dad grew up on a farm, and my uncle still lives there. I love the barn! I love that it's not perfectly painted red – it's kind of weathered and losing it's color in places. It makes it even more beautiful to me. :) I would love to get married in a barn if I was doing it all over again!! love red! half my house is done in that color! 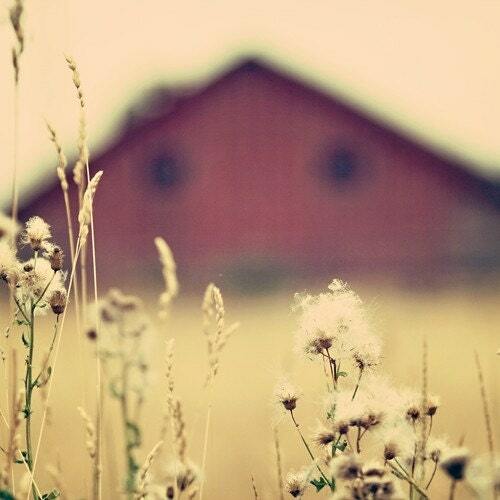 I love the photos of barns. Great red inspiration!